For more information about Hand Pressed Souvenirs, visit the official project website. Hand Pressed Souvenirs is a series of public art projects that blend social practice, conceptual craft, and the use of walking as a tool for making art. The project creates tangible connections between people and place, and investigates the subconscious ways in which the city and its inhabitants influence each other. 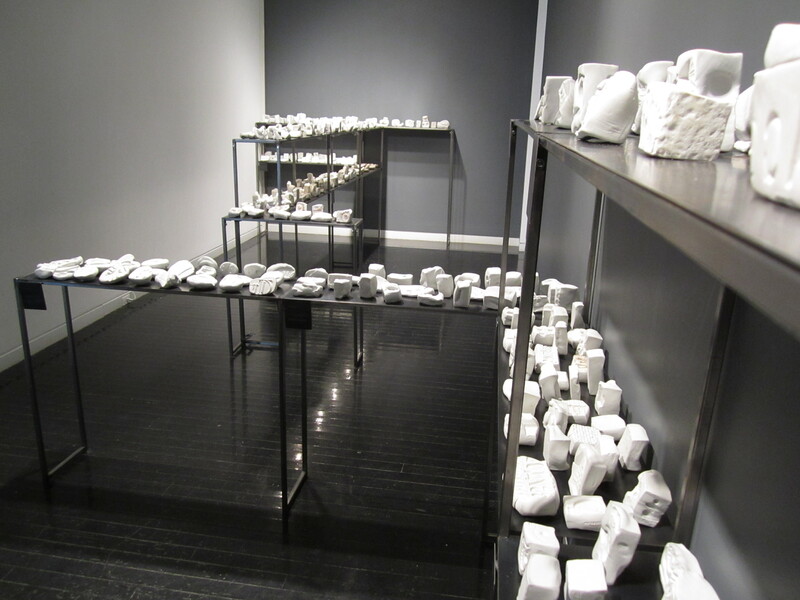 Whether shipping individual field kits across the world or wheeling her hand-fabricated steel cart on a local walk, Nicole disseminates blocks of wet porcelain throughout neighborhoods where participants use the malleable material to make impressions of architectural details that visually and culturally define a place. These Hand Pressed Souvenirs, much like clay tablets of the earliest societies, become records of particular moments in history. One side of each ceramic object shows sharp details of architecture and design while the other side retains the lines and marks of the hand that produced it; the raw clay is a conduit that heightens an individual’s sensation of touch and physical connection to their surroundings. As the collection of Hand Pressed Souvenirs amasses, so too does the evidence of our relationship to public space. 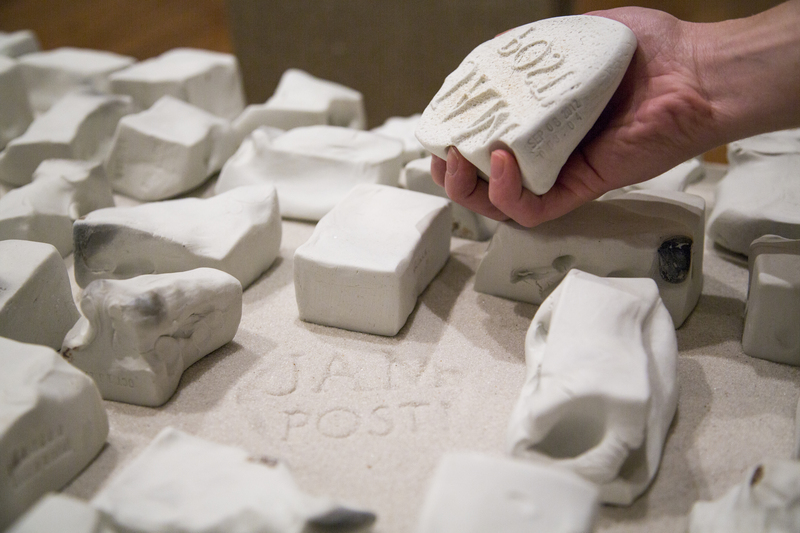 The Hand Pressed Souvenirs project has multiple branches, including artist-facilitated walks, public programming, and commissioned objects and installations. An early and prolific branch of the project is City Souvenirs, a collaboration with Liene Bosque. Learn more about City Souvenirs at citysouvenirs.wordpress.com.